MS Exchange is one of the most popular Server among all users to exchange the crucial information. Moreover, it can save data in EDB file format. However, there are certain situations like malicious attacks that may install corrupt or damaged programs on the system, or EDB files get corrupted too. Meanwhile, throughout corruption issue, Exchange administrators can utilize Eseutil & Isinteg utilities to repair corrupt or inaccessible .edb files. Exchange Server provides these two inbuilt utilities and can perform both soft and hard recovery from an offline .edb file. Now, in the upcoming section, we are going to discuss a manual solution to let users understand how to repair corrupt EDB file using Eseutil and Isinteg in an efficient manner. Before that, first users need to follow some pre-requisites before Using Eseutil and Isinteg programs. These two commands are especially helpful on the Offline Exchange server, so database must be dismounted from an Exchange Server before executing these utilities. Also, users can run Exeutil.exe Commands from the command prompt. 6. Eseutil utility (Eseutil.exe) has two repair modes i.e., “/r” and “p”. 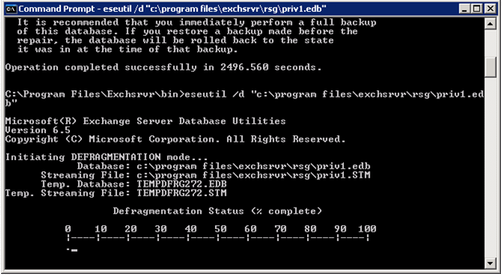 Further, Eseutil/r command is only for soft recovery of MS Exchange database. 7. Besides, if the EDB database files are highly corrupted then, users can use Eseutil/p command line to recover inaccessible Exchange EDB files including priv1.edb and pub1.edb. 9. 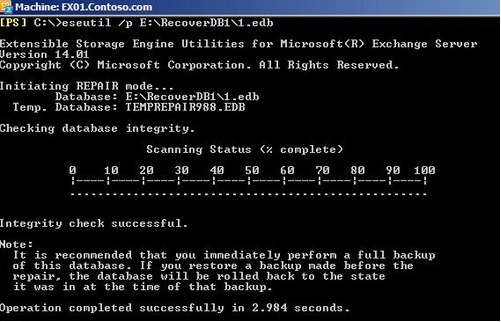 When users can restore the damaged .edb database files using Eseutil/p command afterward, run Eseutil/d command line to defragment Exchange database. 15. Remount the repaired Exchange database files (.edb) still, again by using the administrator utilities of Exchange Server. If the manual approach becomes fail then, users can opt for a reliable third party tool named as Exchange Database Recovery Tool. It has the potential to recover and repair corrupted mailboxes from Exchange server. It also provides a file naming convention for saving the Exchange emails in different file formats (HTML/EML/MSG/PDF). The greatest part of this product is that it will Maintain Folder Hierarchy while repairing Exchange .edb files. Moreover, It is strong enough to restore both public as well as private folders in Exchange mailbox without any kind of data loss. It has an interactive interface that even a novice user can access it without any prior knowledge. Further, it has various advanced features that will help to perform the recovery process and fix EDB corruption issues. Many times users have faced corruption issue in Exchange database files. However, Exchange Server provides two inbuilt utilities i.e. Eseutil and Isinteg. Thus, in the above section, we have discussed a manual solution that helps to repair corrupt EDB file using Eseutil & Isinteg programs. Also, we have suggested an effortless solution i.e. 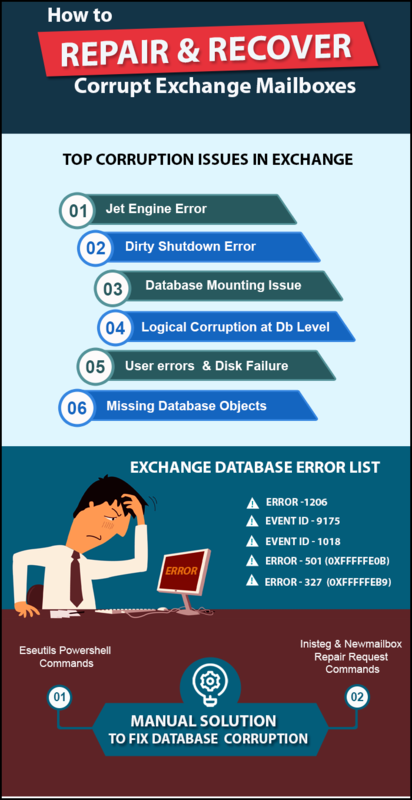 Exchange Database Recovery, which allows recovering deleted, dismounted or offline .edb files without any difficulty.